Now we know why FOX 26 KRIV's Stephen Morgan was doing the "Bootloose" at the end of rodeo! Last week, when I was in London, the general assignments reporter was promoted to weekend morning meteorologist. You might remember my post from February 2018, when I wrote about Morgan, who has Bachelor of Science degree in Meteorology, taking off his reporter hat and filling in on the weather desk. HOUSTON – Stephen Morgan has been promoted to FOX 26 weekend morning weather anchor, announced station Vice President and News Director, Susan Schiller. He assumes this role immediately, and will continue to report on various station newscasts. Most recently, Morgan has served as a general assignment reporter and fill in meteorologist for the station. 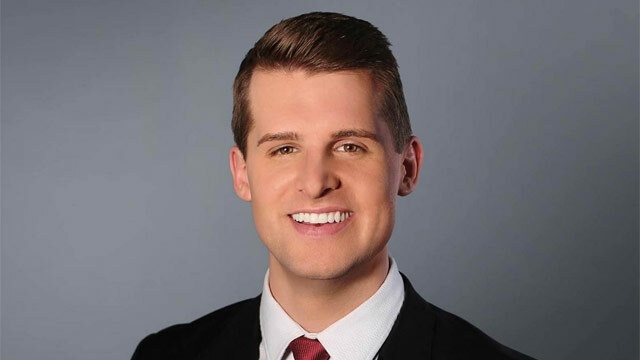 He began his career in broadcast journalism in 2013 as an anchor and reporter at KRBK in Springfield, Missouri, where he also filled in as a meteorologist. A graduate of Saint Louis University, Morgan holds a Bachelor of Science degree in Meteorology.